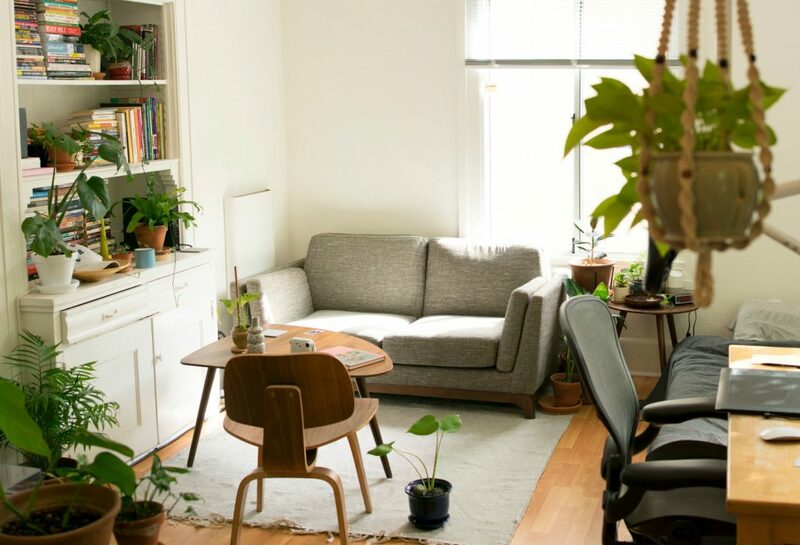 Do House Plants Really Improve Indoor Air Quality? There are loads of posts on Instagram that claim having lots of plants helps purify the air. There’s also a widely cited 1989 NASA study that indicates—at least in a sealed, laboratory environment—certain plants help remove chemicals from indoor the air, but according to Zhu, plants not exactly a panacea. Influencers can go on and on about how their salt lamps emit negative ions and absorb dust particles, but as CNN reported, there aren’t any major studies that support those claims. “I haven’t seen any paper studying that,” Zhu says, adding that all salt lamps seem to soothe is peoples’ mental health. Pretty much everything we do indoors, except sitting around, produces contaminants in our homes. Zhu says the main factors that affect indoor air quality are activities that come from combustion sources and mechanical processes, like cooking, smoking (and vaping), burning candles, and vacuuming. “They all generate pollutants inside your house, so that will impact air quality,” Zhu says. Formaldehyde can come from building materials and new furniture, while nitrogen dioxide can be found in homes with gas stoves. Zhu recommends turning on stove hoods when cooking and increasing ventilation by opening windows to let the cooking emissions get dispersed into the outdoor air. When outdoor air quality is poor, she says your best bet is to run an air purifier. But which air purifier should you get? Lucky for Californians, the California Air Resources Board publishes a list of certified air purifiers. Consumer Reports also has an easy-to-understand guide to finding the right air purifier. Zhu says key elements to be aware of when choosing an air purifier are the device’s clean air delivery rate (CADR), which refers to how much air the device can filter out in a certain amount of time, and that relates to the size of the room its in. “You want to have an air purifier that’s big enough that can handle [the size of] your room,” she says. The Association of Home Appliance Manufacturers (AHAM) suggests the two-thirds rule, which means that the air purifier’s tobacco CADR, printed on the device’s box, should be at least two thirds the room’s area. “A 120 square foot room would require an air cleaner with a tobacco smoke CADR of at least 80,” AHAM says. Air quality varies throughout the day, so Zhu recommends running air purifiers at their highest speed for half an hour to an hour, which brings pollutant levels down quickly. Then, you can switch it to its lowest setting to maintain that level of air quality. “Through the night I just run it at the lowest because it’s also noisy, but at a low speed it actually becomes pleasant white noise,” she says. According to Zhu, air purifiers work in offices too, especially since opening windows isn’t an option in buildings in which they’re sealed shut. Besides improving indoor air quality and reducing pollutant levels, Zhu says the devices can sometimes reduce toxin levels, especially during spring or when there’s a wildfire. Additionally, the time with the worst air quality and most particulate matter is in the early morning, due to the morning commute. This gets even worse in winter because, Zhu sys, the atmosphere is relatively stable, so there’s not a lot of dilution going on and the pollutant concentration increases. When it comes to ozone, the highest levels occur in summer months during the afternoon, around 2 to 3 p.m.
“[Ozone and particulate matter have different types of [adverse] health effects and they’re all bad,” Zhu says. AirNow, a branch of the Environmental Protection Agency, has an interactive map with international and local air quality information. Up to date data can be found by simply inputting a zip code. The South Coast Air Quality Management District publishes a map that includes hourly air quality information for Los Angeles, Orange, Riverside, and San Bernardino counties.